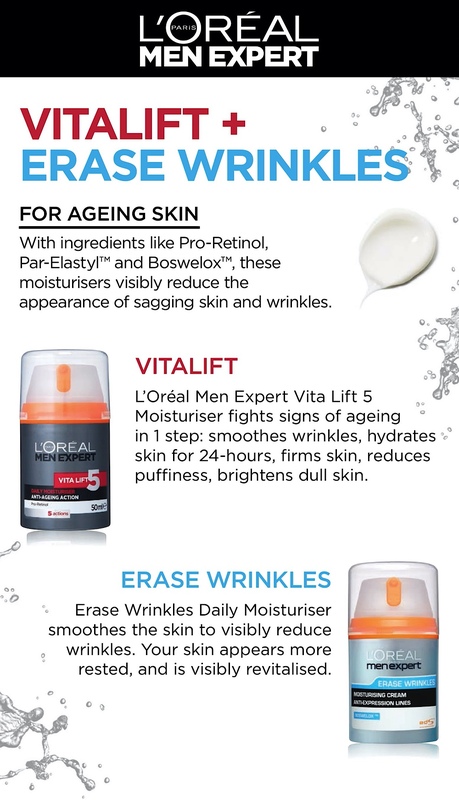 Erase Wrinkles Daily Moisturiser smoothes the skin to visibly reduce wrinkles. Your appears rested and skin is visibly revitalised. Enriched with Boswelox™ to help counteract skin microcreasing, Erase Wrinkles Daily Moisturiser smoothes the skin to visibly reduce wrinkles. The formula is also enriched with ADS™ Active Defense System, a powerful soothing ingredient which helps reinforce the skin's natural resistance against daily aggressions. 781795 4 - Ingredients: Aqua / Water, Cyclohexasiloxane, Glycerin, Hydrogenated Polyisobutene, Dipropylene Glycol, Drometrizole Trisiloxane, Mentha Piperita Extract / Peppermint Leaf Extract, Manganese Gluconate, Sodium Hydroxide,Nylon-12, Ammonium Polyacryldimethyltauramide / Ammonium Polyacryloyldimethyl Taurat E , D I Sodium Edta, Biosaccharide Gum-1, Boswelia Serrata Extract / Boswellia Serrata Extract, Ethylhexyl Methoxycinnamate ,Polysilicone-8, Tocopheryl Acetate, Imidazolidinyl Urea,Methylparaben, Phenoxyethanol, Propylparaben, Ethylparaben, Butylparaben, Linalool, Limonene, Parfum / Fragrance. (F.I.L. B51205/1). Apply all over face and neck in the morning and evening after washing face. Avoid contact with eyes. L'Oreal Men's Expert Erase Wrinkles Moisturising Cream 50ml is rated 5.0 out of 5 by 1. Rated 5 out of 5 by Rudsmeister from Light and does the job OK I am in my 30s and my skin starts to age on forehead and around the eyes, so I thought how good is this gonna be? Well it just became part of my daily routine, it is light, smells good and it does firm or at least give your skin a really nicer appearance than without. I like this product.